Derek Bell is a hero to many AUSmotive readers and proudly, for him, he still seems to be a hero to the Porsche factory. As such they’ve sent out an official happy birthday wish for the five-time Le Mans winner (four with Porsche). Bell turns 70 on Monday, 31 October. In addition to Porsche’s wishes and handful of photos, we’ve compiled some great YouTube footage of Bell talking and racing. Not only was he a bloody good driver, he appears to be a true gentlemen and is universally admired both his peers and motor racing fans the world over. 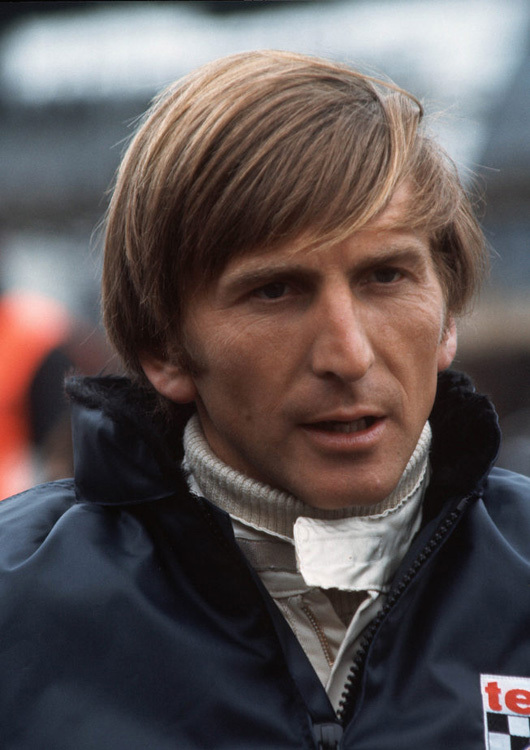 The motorsport world is better for the likes of Derek Bell and we join Porsche in wishing him a very happy birthday. 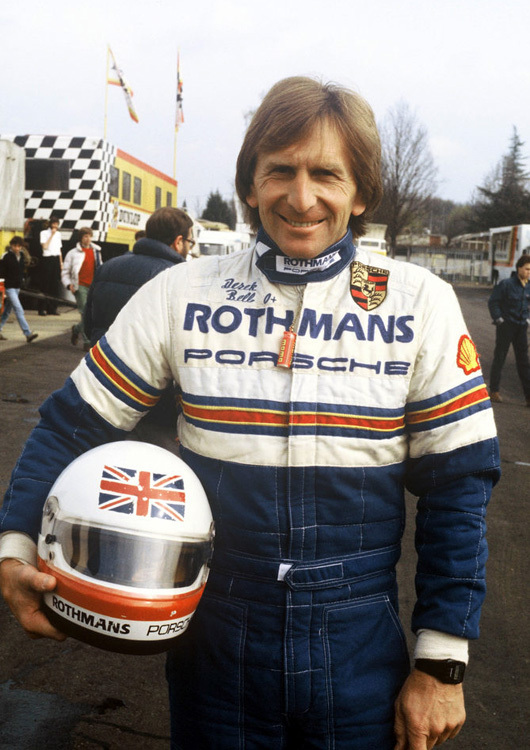 Derek Bell, one of the most successful works drivers who raced for Porsche, celebrates his 70th birthday on 31 October 2011. Born in Pinner, Middlesex, Great Britain in 1941, Bell is considered to be one of the most versatile and popular racing drivers of his time. “Derek Bell made motorsport history with Porsche. Whether it was in a 917, 936 or 956 – he was always one of the fastest and above all most reliable drivers. Derek Bell won the 24 Hours of Le Mans four times for Porsche. He won the World Championship twice. For that we owe him our gratitude and great respect,” said Matthias Müller, Chairman of the Board of Management of Porsche AG. Derek Bell began his racing career with Lotus in 1964, and by 1969 had reached the F1 starting grid. 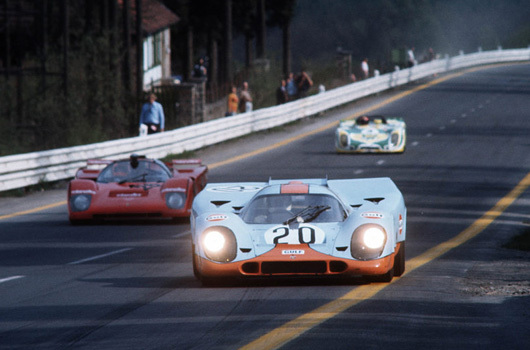 For the 1971 season, Bell drove the Porsche 917 and 908/03 racing cars for the Porsche-Gulf team, forming a successful driver duo with Jo Siffert. This was followed by appearances in the Porsche 934 and 935 in 1976 and 1977 before he took his place on the Le Mans starting grid as a works driver in the 924 Carrera GT. In 1981, together with Jacky Ickx in the Porsche 936/81 Spyder, Bell won the first of his total of four overall victories at Le Mans in a Porsche. 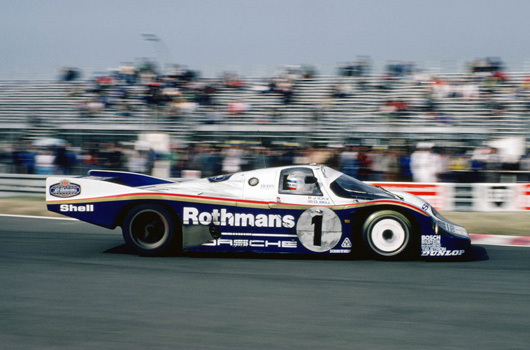 1982 saw the beginning of the Group C era with the Porsche 956, during which time he made his mark as one of the most successful endurance drivers of all time. Together with drivers such as Jacky Ickx, Stefan Bellof and Hans-Joachim Stuck, he won not only numerous overall victories in the Types 956 and 962 but also the World Sportscar Championship in 1985 and 1986. Derek Bell remains in close contact with the Porsche factory, continuing to undertake ambassadorial duties for the Stuttgart-based sportscar manufacturer; for example at the Oldtimer Grand Prix at the Nürburgring and at this year’s Corso to celebrate the 125th anniversary of the car. Bell has also remained faithful to the Porsche brand off the race track: he can often be seen on the roads of Britain driving his classic 1981 Porsche 924 Carrera GTS. He’s 70 already!!! Those Rothmans liveried Porsches were my childhood racing wet dreams! Happy birthday Derek!